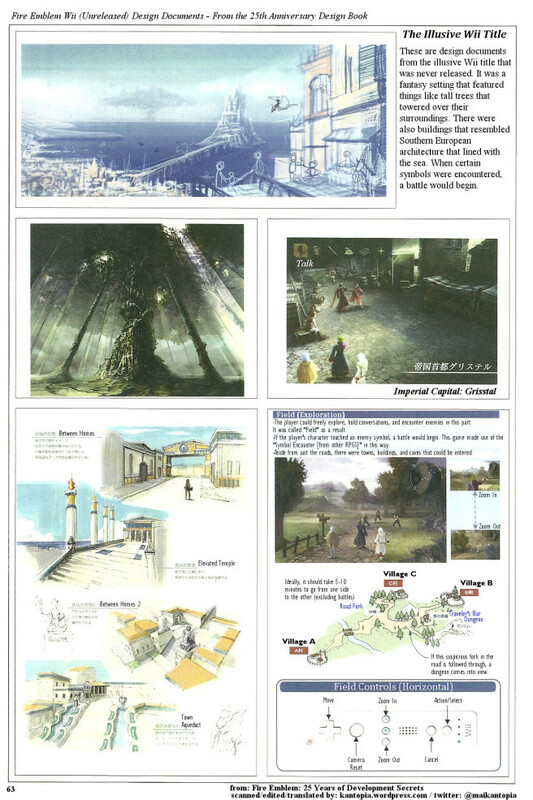 Earlier this month, a scan appeared from the Fire Emblem 25th anniversary book showing an in-development photo of what was thought to be Radiant Dawn. Fresh information has since surfaced indicating that this was to be an entirely new title/experiment all together. This mystery game was in development for Wii after Radiant Dawn had shipped. However, due to poor sales stemming from previous console entries, Nintendo and interior staff were trying to create “something new” and appeal to the broader audience brought in by the Wii and DS. There was a lot of talk about negative feedback that was received after the release of Radiant Dawn, wasn’t there? What was the truth of the situation? …So after the completion of Radiant Dawn, we began to make an experimental game for the Wii. The result was the illusive unreleased “illusive” title for the Wii. You can find more from the interview over on kantopia.